Southern Oregon is under-the radar, sandwiched between the long-established California regions to the south and the more recently prominent Willamette Valley to the north. My crystal ball is as cloudy as anyone’s but, if I might hazard a prediction, you will be hearing a lot more about Southern Oregon in the next decade. The reason is only in part related to wine quality which is quite good here (see below). There is a lot of good farmland available suitable for wine grapes at a relative bargain. The weather is warm enough to ripen almost any varietal and getting warmer as climate change pushes temperatures up. Yet winters are relatively mild, with only occasional damage to vines from hard freezes. The prime growing regions in California are already planted and land is enormously expensive there. The same is true of Willamette Valley where the big corporate wineries are already moving in snapping up vineyards and, of course, bidding up prices. So if you aspire to grow grapes and make wine and don’t have a fortune we’re you gonna go? Because it’s located near the prime West Coast wine regions, the population is already reasonably sophisticated about wine. Because Ashland in the southern end of the Rogue Valley is an established tourist center hosting the highly-regarded Shakespeare festival during the summer, the restaurants and lodging options are fabulous, and with the food culture of Portland trickling south even small towns boast good places to eat. Situated on the I5 interstate, the major corridor through Washington, Oregon and California, there is plenty of traffic to keep tasting rooms full. And the gorgeous mountain scenery is a reliable attraction. Of course, without good wine this will never pan out. But for many years, Southern Oregon has been a mecca for California-trained winemakers seeking a quieter life, and all that knowledge is permeating the wine culture here with quality rapidly improving. A good comparison might be Sonoma 30 years ago. Small wineries in a rural, general agricultural community experimenting with many varietals trying to find out what will grow, with some locations growing into destinations, and plenty of Bay Area transplant alt-types to spread cultural capital. If this isn’t a recipe for success I don’t know what is. One thing that makes this region unique is that it is some distance from a major metropolitan area. Portland is 4-5 hours away; Eugene is on the small side. Thus, limousine traffic is minimal and the hordes that descend on Napa and Sonoma unlikely to materialize. The region will grow, but at a comfortable pace with less population pressure than the more populated California regions have experienced. Corporate influence is not in evidence yet, although many of the vineyards here supply fruit to the large, commercial producers in Willamette Valley. The Southern Oregon AVA is divided into two distinctly different appellations—the Rogue Valley AVA in the south and the Umpqua Valley AVA in the north. I’ll focus on general characteristics of both but the Umpqua will require a separate post. 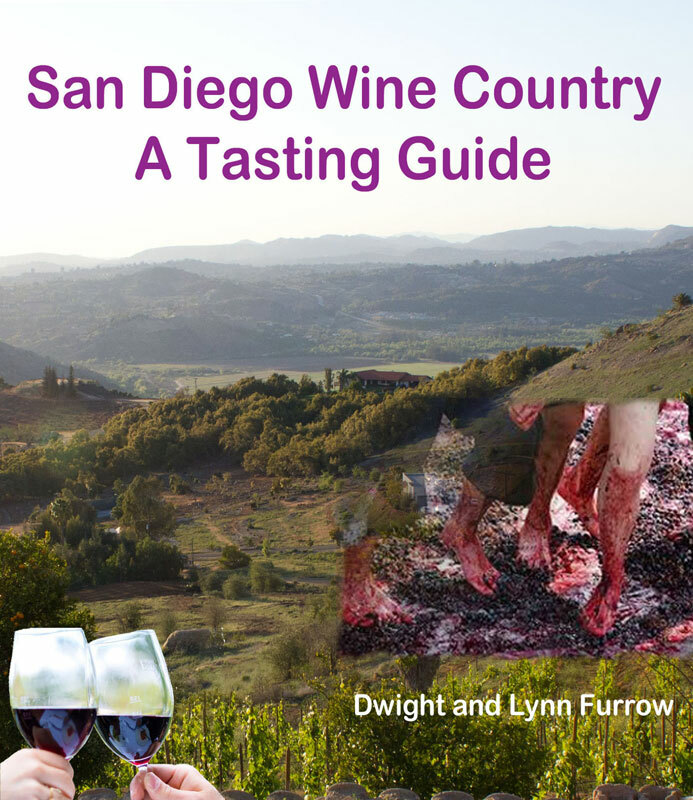 Every wine region needs people who can effectively get information to the public about what the region has to offer. In the Rogue Valley one such person is Liz Wan, assistant winemaker at Serra Vineyards, who was kind enough to explain what makes Southern Oregon tick. The character of this region is determined by the surrounding mountain ranges—the Coastal range and Siskiyous to the west and south and the Cascades to the east. The confluence of these mountain ranges create a rain shadow that limits precipitation from the severe winter and spring storms rolling in from Alaska. Rainfall in most of the Rogue and Umpqua Valleys is about half of what the Willamette Valley receives. Although the Illinois Valley sub-region of the Rogue, nestled up against the Coastal Range in the West, receives significant marine influence, as we move inland to the other two sub-regions, Applegate Valley and Upper Rogue, that marine influence recedes and temperatures are higher. 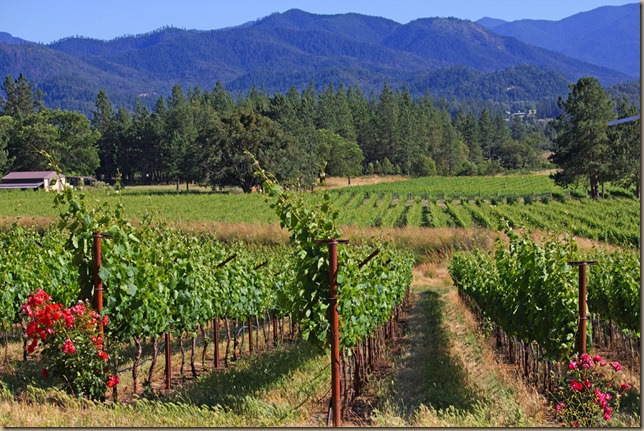 Furthermore, as Liz explained, vineyards near the city of Medford in the Rogue Valley are influenced by the built environment that retains heat. Thus, inland valley temperatures, especially the Upper Rogue, are hot during the summer reaching 105 degrees on some days. Spring temperatures are cool with late frost sometimes an issue and fall rains arrive early. Thus, Southern Oregon has a short, hot growing season, with average growing degree days about 2300 compared to 3400 for Napa. But the vines receive lots of light during the growing season due to the northerly latitude, and the diurnal temperature shifts are enormous with night time temperatures often dropping into the 50’s during the summer. The result is sufficient heat and light to ripen almost all varietals, very little disease pressure during the dry summer months, but cool nights that keep acidity in the grapes, resulting in wines that are fresh and crisp with comparatively low alcohol levels. The ancient clash of the earth’s plates forming these mountains and the sediment from the many streams flowing into the valley have distributed a complex mixture of soils throughout the region, and the foothills of these mountain ranges punctuate the topology of the valleys leaving an incredible array of microclimates. Reports estimate there to be 170 microclimates in the Rogue and Umpqua Valleys. Some vineyards have so many soil types that winemakers have given up trying make sense of it. Hence the diversity for which Southern Oregon will be famous. The list of varietals being planted here is enormous. Pinot Noir, Pinot Gris, Riesling, Gewurztraminer and Chardonnay are grown in the cooler sites. The Bordeaux varietals grow in the warmer sites with Syrah and other Rhone varietals, especially Viognier, appearing almost everywhere. Italian varietals are less plentiful but they do well on some sites as well. As you might imagine, there is now a debate raging among the locals about the region’s identity. Some people argue that the flourishing of so many varietals harms regional identity using Willamette Valley’s commitment to Pinot Noir or Napa’s penchant for Cabernet Sauvignon to buttress their arguments. Soil scientists and viticulturalists have designated Tempranillo to be the-big-red-of-the-future here because it requires a shorter growing season; thus many wineries are promoting it. No doubt the grape does well here, but as a skeptical Herb Quady, owner/winemaker at Quady North and one of the most prominent of the vintners here asked, “are people really clamoring for more Tempranillo” since the Spanish have that market cornered? Tempranillo is surely part of the mix but the diversity fills out tasting menus and makes the region attractive to wine companies seeking to expand their portfolios. That said, Tempranillo shows a unique expression in Southern Oregon. Winemakers are generally restrained in their use of oak. It’s mostly French and mostly older barrels, so the wood, vanilla and dill pickle aromas found in Spanish Tempranillo are muted here allowing more earth and leather to shine. Herb Quady notes that what matters is that we make “acceptable versions” of each varietal. Sites that can’t get Cabernet Sauvignon ripe should not be growing it and the Cabernet grown here will always be lower in alcohol and higher in acidity than, say, Napa’s version of Cabernet given the shorter growing season in Southern Oregon. “We should embrace that diversity”, he argues. I doubt this controversy will end anytime soon. And one note of caution. Southern Oregon’s relative isolation means they have never confronted phylloxera, the vine louse that has destroyed vineyards in many parts of the world including California. The solution to the threat of phylloxera is to graft vines onto resistant rootstock. Southern Oregon is still using own-rooted vines that lack that resistance. But as more trucks and tourists find their way here, the threat of phylloxera will grow. Tasting rooms in the Rogue run the gamut from small, barebones additions on a farmhouse to elegant, well-appointed venues with stunning views of the valley, entertainment and food service. Apparently the economics of the region support chic, alluring properties on, in some instances, a case production of only 3000 per year, mostly sold out of the tasting room and to wine club members. Go figure. Where are the best wines to be found? I use a combination of reviews by professional critics and recommendations from the locals to narrow down our search, and then extensive tasting to arrive at conclusions about the top producers. We look for overall consistency among a winery’s offerings rather than individual bottlings that might impress. Here’s our rundown of the Rogue Valley’s finest all of which use exclusively Southern Oregon fruit. 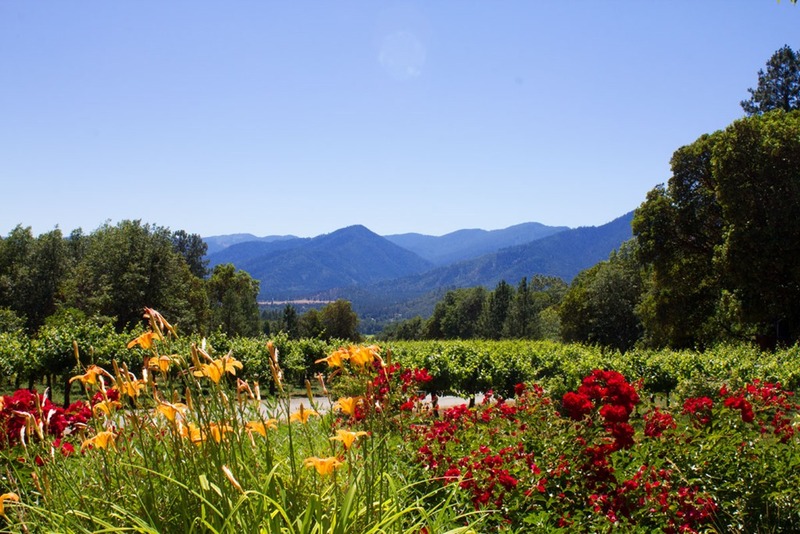 In addition to great wines, this Applegate Valley winery has one of the more interesting stories you will find in the wine world. Owner/winemaker Joe Ginet is a third generation American whose winemaking family hails from Savoie, France. Joe wanted to make wine as his family had done for generations but he lacked the money to start a winery and couldn’t get financing. So he and his wife Suzy had to raise cattle for years building a ranch business that eventually generated the cash to get the winery off the ground. Today, he still raises cattle but also makes highly awarded, small batch wines, many of them from cuttings brought over from his family vineyards in Savoie. I adored every wine we tasted including a gorgeous Rosé and rich, succulent Merlot, Tempranillo, and Malbec. But an additional selling point are the unusual varieties—Carmenere and Mondeuse (as far as I know the only one in the U.S.) The Mondeuse was out of stock but the Carmenere was deep, rich and spicy. As their name suggests, this is a state of the art biodynamic operation, as of now, the only one in Southern Oregon. Every wine we tasted was exquisite. The luscious, off-dry, white Rhone blend called Spiral 36 was textured and rich; the Viognier expressive and also richly textured. Both briefly see 20% new French oak. A pretty, strawberry-inflected Grenache with a mineral core was followed by a blockbuster Syrah from 2013, with the chalky minerality I often find in biodynamic wines. (Here is my review). The best of the Upper Rogue, everything on their tasting flight was just a cut above. We tasted several versions of Sauvignon Blanc in Southern Oregon during our stay. Only Kriselle’s approached the grassy, gooseberry-driven flavors typical of this varietal. The same with their Viognier which stood out for its expressive, tropical aromas and rich mouthfeel. Their 2013 Tempranillo was to die for, so good it overshadowed their elegant Cabernet Franc, Cabernet Sauvignon and two beautiful blends, a Bordeaux blend with some Tempranillo call Di’Tani, and a Super-Tuscan of Sangiovese and Cab. These wines were not only elegant but unique with slightly funky, herbal and earth notes that made them interesting as well as delicious. The location of perhaps the prettiest winery grounds we visited as they encourage tasters to meditate on their wines down by the charming river that runs through their property. This winery specializes in Spanish varietals—a lovely, off-dry Verdejo, a pretty, yet structured Rosé of 70% Tempranillo, a spicy,leathery Tempranillo/Cabernet Sauvignon blend called Red Blanket, and their 100% Tempranillo 2013 which was very complex but needs a bit more time to integrate tannins. These Tempranillos are powerful, complex, yet utterly charming wines. Scenic views of the Applegate valley from their tasting room set the mood for impressive Cabernet Sauvignon, Cabernet Franc, and Syrah (see my review). Their Cabernet Sauvignon may be the best we tasted and their Syrah near the top as well, both with great complexity and depth. Several Rosés, intriguing, vineyard-designate Viogniers and structured, expressive Cabernet Franc from Herb Quady one of the early California winemaking transplants in the Rogue. He specializes in red Rhone varietals as well which we did not have the opportunity to taste. This is a relatively new winery that has rocketed to the top garnering a 2017 winery of the year award from Wine Press Northwest. Co-owner Dan Marcon thinks of winemaking as a ballet and his elegant Chardonnay and Pinot Noir live up to that conceit. Their Assemblage 2016 Chardonnay was the best Chardonnay we tasted in the valley and the several versions of Pinot Noir from various vineyard blocks and clones all achieve that magical, silken quality expected of this grape. For Pinot lovers this is a fascinating tour through various expressions of Rogue Valley Pinot Noir. Their full service restaurant on premises was hoppin’ the day we visited. Maybe it’s the location, a tasting room situated on the same parking lot as the world famous Rogue Creamery and the extraordinary Lillie Belle Farms chocolatier, but we found this whole lineup delicious. The whites were good. Their off-dry Radiant White which includes mostly Chenin Blanc was crisp and expressive; the 2016 Viognier and a Chardonnay balanced and flavorful. But the red wines were extraordinary, all elegant and structured, especially the 2014 Cabernet Franc and a super-Tuscan-style blend called Sublimus. But the show-stopper was the Orions Nebula blend of Cabernet Franc, Malbec, Petite Verdot and Syrah with complex dark fruit and earth on a stalwart frame. The reds show a touch of rusticity which gives them great character. A farmhouse winery in the Applegate dedicated to small-batch, aged wines. They hold wines back many years until ready for release. A 2005 Merlot and a 2006 Syrah were just gorgeous. If you want to know how Rogue Valley wines age, this is the place. In fact, if you want to discover the essence of wine, this is the place. A solid lineup, especially the Viognier, a Marsanne/Viognier Blend, a red blend called Mescolare made of Syrah, Tempranillo and Portuguese varietals, and their estate Tempranillo. All around excellent wine but the white wines stood out. Outstanding Pinot Gris, Viognier, and a nice Albarino. Their 2013 Grenache was outstanding and a Mourvedre-dominated blend called Misceo was very good. Located in the Illinois Valley, their Pinot Noir and Cabernet Sauvignon were quite good. But their tasting room is their claim to fame. 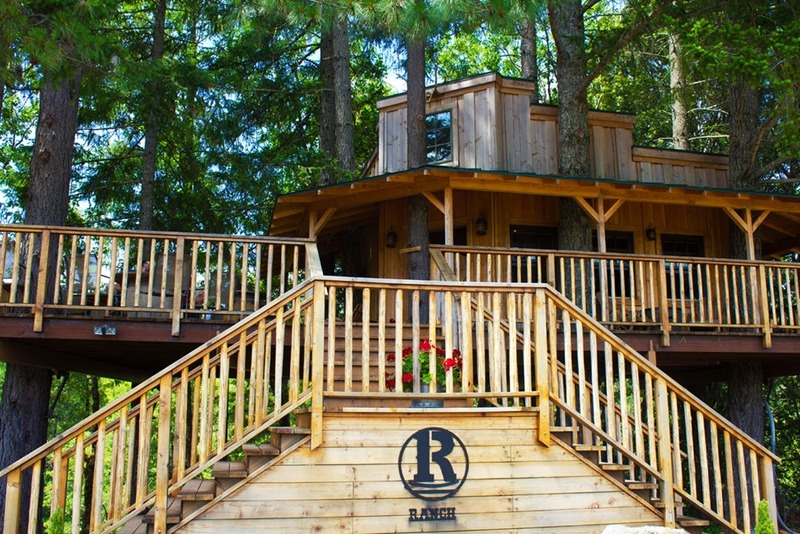 It is a tree house overlooking the river, a lovely site ideal for spending an afternoon sipping wine. Not to be confused with their other property in the Applegate. As for the food available in Southern Oregon that is worthy of a post of it’s own, available here. Cross posted in Edible Arts on 7/6/2017.